A quest for truth and power. ​Between our world and the world beyond lie the Titan Souls, the spiritual source and sum of all living things. Now scattered amongst the ruins and guarded by the idle titans charged with their care, a solitary hero armed with but a single arrow is once again assembling shards of the Titan Soul in a quest for truth and power. Titan Souls is a raw test of skill. Titan Souls is my PAX Prime 2014 game of show. 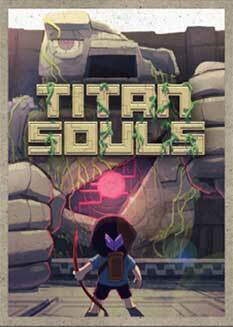 If you thought Dark Souls was hard, try Titan Souls.